Most of us have a social media account, and many regularly post status updates, pictures, and videos online. Facebook and Instagram allow us to keep in contact with friends and relatives; however these posts can cause major problems when it comes to your personal injury claim. Insurance companies are looking for ways to discount the value of your claim, and the insurance industry hires investigators to find and monitor your social media accounts and download everything you post. Some courts have determined this practice to be fair game, since you have posted online and waived your privacy interest. Armed with this information, the insurance company then attempts to twist the facts in their favor to minimize or even deny your claim. Let’s say you have suffered a low back injury from a workers compensation incident or car wreck and during your recovery you post a photo enjoying a dinner out with your spouse, celebrating a holiday with family, or attending one of your children’s school events. The insurance companies will use that information and argue among other things that you are not complying with your doctor’s restrictions, that you don’t appear to be in pain, and that you’re not as injured as you claim. This forces you to play defense and explain that you had to take extra pain medication before the event, that you were in severe pain sitting in the bleachers watching your child, that you did not enjoy the event but forced a smile for the photo, that you had to leave the event early, or that you paid for it the next day with severe pain from overdoing it. Don’t trust your security settings. 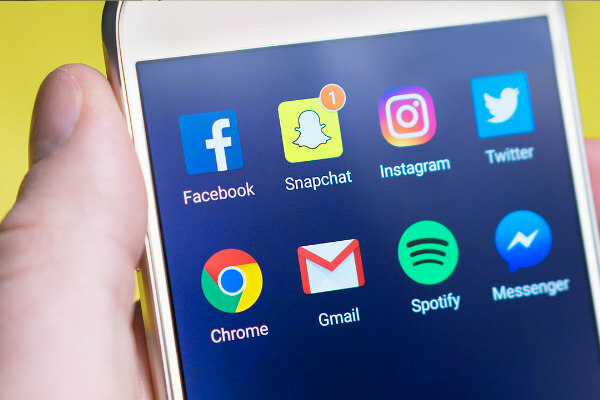 You may think that having your social media account set to private will be hidden from strangers, but this is not always the case. The insurance industry investigators have ways to avoid security measures. Don’t post information about your accident or injuries. If friends are reaching out to you on social media, do not respond to their comments and public posts. You can kindly thank them for their concern, but don’t go into any detail about your case. If you want to catch up with a friend about what is going on, do it in private. Make sure that you are not posting about daily activities. An insurance adjustor can twist a simple comments such as “Walking my dog today” or “Watered my plants” in a way that makes it sound as though your case is not as severe as it really is. It may have been a big step in your recovery for you to walk your dog or water your plants, but don’t let the insurance company twist a step toward recovery to instead be a full recovery with no further need of medical treatment. Insurance companies argue that the ability to complete a normal daily activity is evidence that you are completely healed without impairment. Don’t give them the argument. When you are filing a personal injury claim, make sure that your claim is just that: Personal.